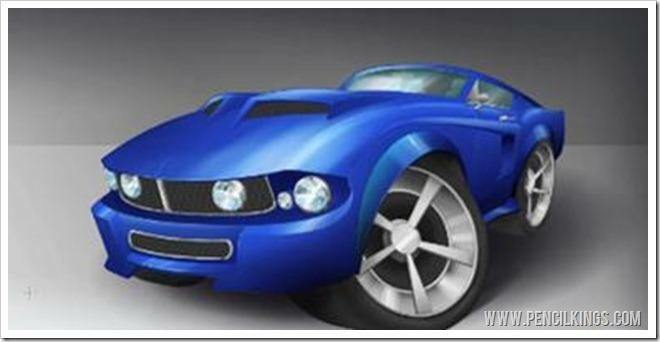 In the previous lesson on how to draw vehicles, our tutor April showed you how to use the Pen Tool to carefully select the areas of chrome on the bodywork of your 1967 Mustang before filling these with gray. Now, you’re going to learn how to transform this into super cool chrome with some nifty brushwork and some awesome Photoshop filters. So, if you’d like to know how to draw vehicles, grab those graphics tablets and head out on the highway. Because we’re going to show you how to create chrome so shiny you can see your reflection in it! 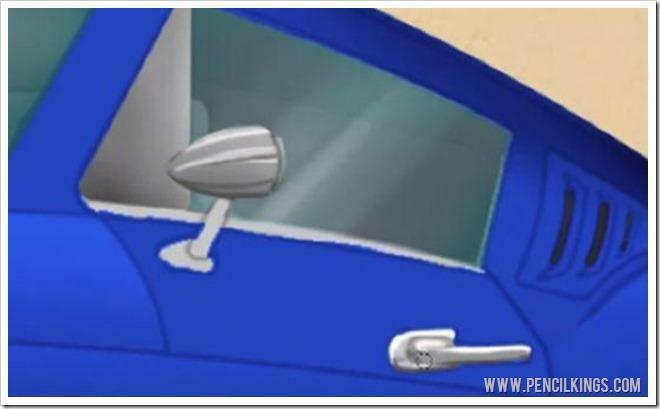 When learning how to draw vehicles, remember that, because the chrome trim, wing mirror, handle and bumper are convex, they’ll reflect the cool blue of the sky at the top and the warmer colors of the ground at the bottom. You’ll also notice that there aren’t really any smooth transitions of tone in the chrome – to make it look realistic, you have to use sharply contrasting tones to emulate this metal. To do this, make sure you select a hard brush to paint with.Start adding some contrasting areas of color in the chrome after creating a new layer. Look at your reference photos to give you an idea of how it should appear. Once you’ve added some areas of color, ask yourself whether this really looks like super-realistic chrome. If not, there’s a simple way around this problem – Photoshop filters are your go-to! Here’s another quick tip when learning how to draw vehicles. If your chrome is lacking that all-important shine, you can call on Photoshop’s built-in features to help you out. On your top Menu Bar, go to Filter > Sketch > Chrome and a new window will appear. Here, you can adjust how the filter treats your painting and select from Detail and Smoothness to create a realistic effect. After you’ve applied this filter, you might want to go back in and smooth things out a little using the Brush Tool. 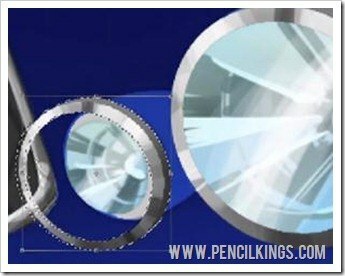 The chrome filter works best when applied to large areas of chrome, such as the tubing connecting the handlebars to a motorcycle or an exhaust pipe. 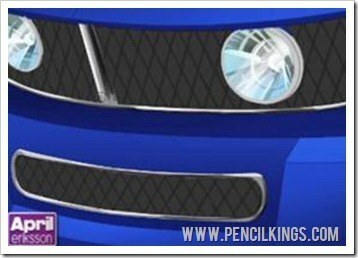 Try using the same technique on the headlights – make your selection, fill it with gray and then apply the Chrome Filter. Use a combination of hard and soft brushwork to finish off the effect. Hit Ctrl + U to bring up the Hue and Saturation Palette and adjust colors quickly. Once you’ve finished the rim of one headlight, you can duplicate this to create the rest and transform it to suit. You can use the same techniques to create the wing mirror and handle. Zoom in and use a fine brush to add sharp areas of contrasting tone and apply the Chrome Filter if you need to. Do the same for the chrome trim around the windshield and the wheel rims. Now that your painting is nearly finished, it’s worth taking a good look around and changing any elements if you need to. Here, April decides to lighten the front wheel arch slightly to make it pop. 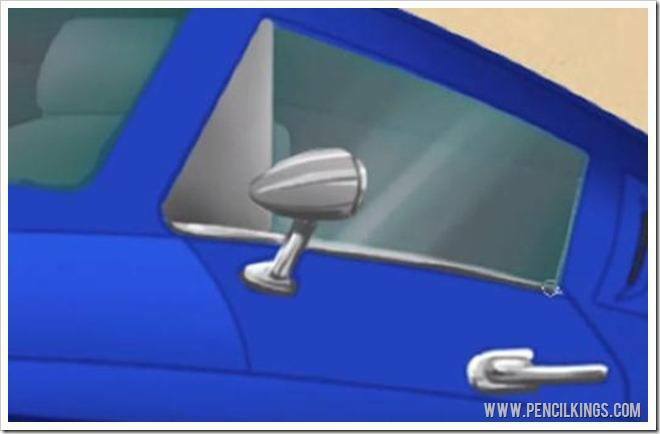 We hope this lesson has taught you everything you ever needed to know about how to draw vehicles and paint chrome. In the final lesson, you’ll be learning how to apply those all-important finishing touches to your Mustang painting! Let us know how shiny you got your chrome to look by leaving us a comment in the box below!